Opportunity to purchase authentic souvenirs, including carpets, handicrafts, carvings and Thankas. Great experience one-hour Everest flight that takes you within the camera range of some of the highest peaks in the world. Nepal is a dreamland for all the photographers with a diverse natural beauty and countless historical temples, festivals and ethnic groups. In the world, Nepal is also one of the must visit country in your lifetime. Hindu manuscript defines Nepal as the “Land of Gods surrounded by beautiful mountains”. Top 10 highest mountains of the world, eight tallest mountains are located in Nepal. The valley boasts more than thousand temples and each of the temple has its legend and own religious belief. All of above Nepal is a real paradise for Photographers. It has become one of the dream destination where being in one country, a photographer can experience and click pictures of diverse natural beauty and landscapes, countless historic monuments, temples, Stupas, beautiful villages, Mountain views, hill station, wildlife and many more. Our casual format provides a unique blend of hands-on learning. Photography tour structured by Luxury Holidays Nepal provides you a combined tour package which includes a day tour in the Heritage sites rich in archaeological and religious perception, earliest bazaars and medieval palace squares, explore typical ancient Newari villages, hiking around the beautiful villages, and to the National parks of the country for wildlife photography. After arriving in Kathmandu, a representative from Luxury Holidays Nepal will pick up from the airport and take to your hotel. In the afternoon, you may take a rest or visit Luxury Holidays Nepal’s office. At evening, we host a pre-trip meeting at your hotel in Kathmandu and introduce your tour guide. Please seek this opportunity to ask questions about your trip. This includes a final briefing and preparations for the trip. For the meeting, please make sure you bring your passport, one passport-size photo, and a readable copy of your travel insurance policy. During the meeting, please clear the due balance, if any. Please inform us in advance if you will be arriving late and therefore are unable to attend the pre-trip meeting. After the pre-trip meeting, there will be a welcome dinner hosted by Luxury Holidays Nepal. For dinner, you will be served authentic Nepalese cuisine, which will introduce you to the country’s food culture. 02 Days Pre-trip meeting and full day recreational tour of Kathmandu, the capital valley. 03 Days Scenic Everest flight in the morning, and Guided Sight seeing of Patan and Bhaktapur Durbar square. Early in the morning (5:30 am), you will be driven to Tribhuwan Airport (Domestic terminal) for mountain flight. And, after flight you will be guided to hotel and have late breakfast in the Hotel. Then, you will proceed for onward photography sightseeing to Patan Durbar square and then to Bhaktapur with a professional tour guide at your disposal. You will visit the following UNESCO World Heritage Sites. 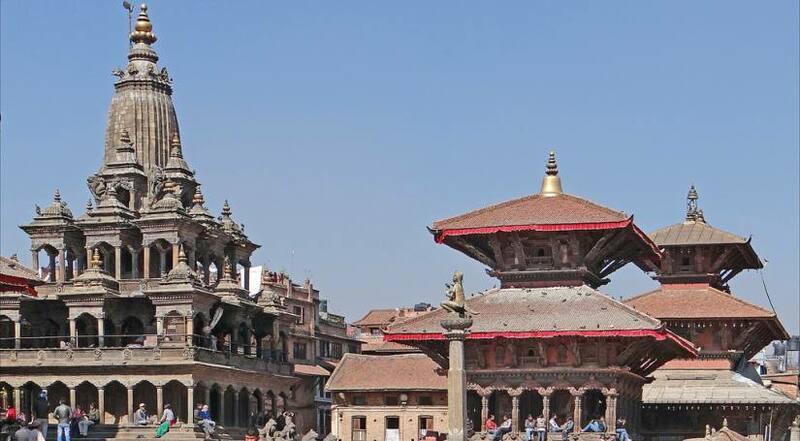 Patan Durbar Square is protected by the UNISCO world heritage site. Patan is the second largest city in the valley. Patan has a long Buddhist history and the four corners of the city are marked by Stupas. Patan's central Durbar square is absolutely packed with temples. Numerous other temples widely diverse style as well as many Buddhist monasteries is scattered around this fascinating town. The Patan Durbar square is a concentrated mass of temples, undoubtedly the most visually stunning display of Newari architecture to be seen in Nepal. There are many others numerous temples are Krishna, Bhimsen, Taleju bell, Bhai Dega and others many temples give you more experience about Nepali people’s faith and respect on religion. All the temples are decorated by numerous arts and architecture. The Patan also offers you Newari people’s culture and them life style. And drive back to Kathmandu hotel. Lunch followed by a tour of Tharu village and park visitor center. - Sunset view from Rapti River, dinner & cultural program. Overnight at Chitwan. After breakfast, leave Chitwan for Pokhara (known as The Lake City owing to the large number of lakes in the city). The road first passes through the subtropical jungles and fertile vegetation in Chitwan. As you leave Chitwan, the landscape changes. You will see hills, small settlements and terraced farms. Upon your arrival in Pokhara, the beautiful lake city, you are rewarded with magnificent views of the Himalayas, including Dhaulagiri (8,167m), Manaslu (8,156m), Machhapuchhre (6,993m), the five peaks of Annapurna and others. Check-in to the hotel and take a rest. You may also stroll in the streets of Pokhara and just enjoy being in one of the most beautiful cities of Nepal. Overnight in Pokhara. After breakfast, you will head off for short hike to Peace Pagoda. You will enjoy beautiful panoramic view of Pokhara city and mountains. After, some good time at peace pagoda, you trek down and drive to Begnas Lake. Accommodation in Kathmandu (Hotel Mulberry or similar Category), in Chitwan (Hotel Seven Star or Similar category) and in Pokhara (Hotel Mount Kailash Resort or similar category) in twin sharing bed and breakfast basis. Guided sightseeing tour in Kathmandu and Pokhara valley with private vehicles. Luxurious transportation from Kathmandu-Chitwan-Pokhara-Kathmandu by private vehicle. All necessary paper works, Conservation entry permits. Lunch and Dinner while you are in Kathmandu and Pokhara (Meal costs about 3 -7 dollars per item depending on the place where you eat). Luxury Holidays Nepal provides you 4 star hotels in Kathmandu (Hotel Mulberry or Similar category) and in Pokhara (Hotel Mount Kailash resort or similar). In Chitwan, you will be staying at the 4 star Hotel (Hotel Seven Star or similar Category). If you want the luxury accommodation of 5 star in Kathmandu then contact us for cost detail.